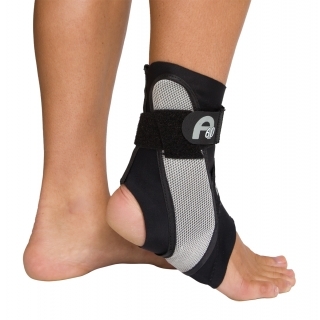 Aircast® A60™ Ankle Support : Balego & Associates Inc. - BalegoOnline.org, Providing the Products You Want and the Services You Need Since 1984. Prophylactic support, protection and comfort with simplified application. The design incorporates a stabilizer molded at a 60 degree angle to help guard against ankle sprains and prevent rollover. Manufactured with breathable material, for cool comfort. Lightweight anatomic design easily fits in athletic footwear. Easily adjustable application. Single strap replaces time-consuming lacing. There currently are 541 guests online.